Now we know the Salvator Mundi is going to Abu Dhabi, perhaps the calls asking me to comment on its value, authenticity and condition (it’s usually in that order) will stop. When I tell journalists that the picture made its value, is indeed by Leonardo and isn’t “a wreck”, they invariably sound disappointed and call someone else more willing to stick the knife in. Hopefully, the controversy that was manufactured around the sale will subside now that the painting is going to be on public display and not (as the private collector stereotype always has it) “locked up in a bank vault”. Most of the final-year art history students I spoke to recently at one of the UK’s leading universities had heard about the Salvator Mundi, or at least its price. But when I put an image of a well-known Titian on the screen, only one of them (of around 40) could identify the artist. I asked what they had all been doing for the past few years; “reading” came the unenthusiastic answer. I had been invited to discuss art-historical careers, and my advice was therefore simple: stop reading about art, and go and look at some. Art history degrees can certainly provide a valuable foundation of knowledge, but as preparation for the practicalities of working in the art world they are often lacking. To my surprise, the most popular choice of career was to be an art dealer. Alas, the one student able to identify the Titian wanted to do something else entirely. Only two universities in the UK offer an art history degree that includes a dedicated course on connoisseurship. One is led by Luke Uglow of Manchester University, whom I met recently when he came to speak at a short course on connoisseurship at the Royal Academy of Arts. What an inspiration he was. My advice now to anyone wanting to study art history is: go to Manchester. 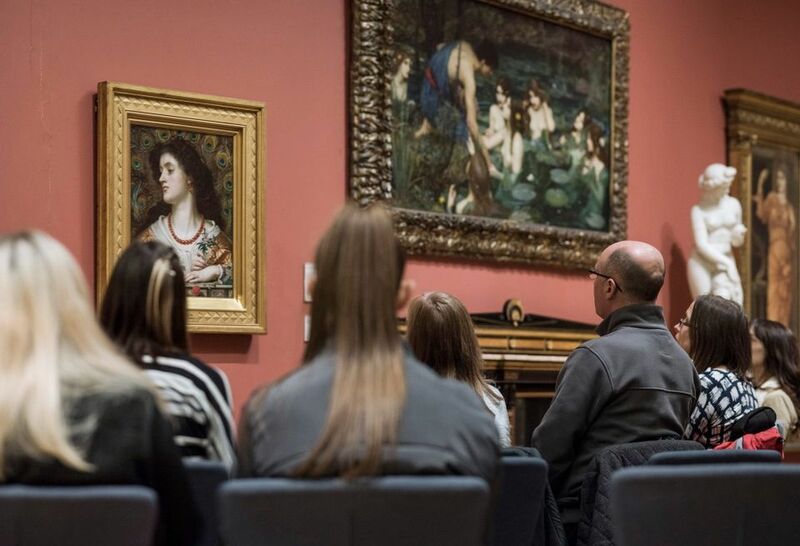 And for looking at art you’ll have both the Whitworth and Manchester Art Gallery on your doorstep, home to some of the richest collections outside London. I was leading the Royal Academy course, and I think I might have caught the teaching bug. It was more enjoyable than I ever imagined. Of course, I had to begin with a disclaimer, for it absolutely isn’t possible to become a connoisseur in a weekend. It takes years or, better, decades of looking, and even then you never stop learning. But we were able to at least teach the basics to our enthusiastic and friendly participants. We spent much of our time dashing up and down Bond Street. At Sotheby’s we had a rare connoisseurial challenge: a portrait partly by Velázquez and partly by Pietro Matre Neri. To be honest, it wasn’t hard to discern where Velázquez stopped and poor old Neri began, such was the gulf in quality. (Of course, many art history students are taught that judging quality is a Bad Thing.) Further up Bond Street, at the studio of the restorer Simon Gillespie, we saw how different a picture can look once layers of old varnish are removed. Simon carried out some cleaning tests on a newly discovered portrait of a lady by the artist William Owen. To see the array of pinks, reds and whites emerging from beneath the permatan of the old varnish was exciting enough. But for me the feeling was mainly one of relief, for the portrait was mine. Happily, no other condition issues lay lurking beneath the varnish. The lady was cleaned and home in time for Christmas. May all your art-historical wishes come true in 2018.